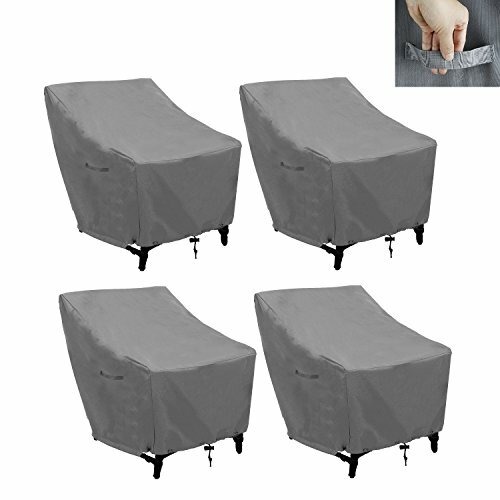 It can protect your outdoor furniture with Bar Chair/Stool Cover, Stackable Chairs Cover for off-season storage and inclement weathers. DURABLE FABRIC:water proof,protect your chairs from hot sun,snow,ice,rain,high winds,foggy damp area.outdoor furniture cover for Spring,Summer,Fall/Autumn,Winter. AMAZING BOTTOM DESIGN.The strap attachs to chair legs so it won't blow off.